time Monday to Friday by appointment. cost Costs vary according to the nature of the program. Call or email for more details. 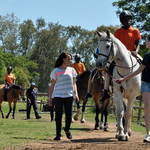 * Riding as a Skill for Sport and Recreation - riding lessons for people with special needs, including preparation for Paralmpic and Special Olympic competition riding. 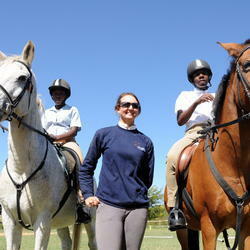 In a safe, fun and challenging environment teens are encouraged to develop their Personal Horse Power. Through the unique teaching of horses teens learn different ways of relating to others, their environment and one another. 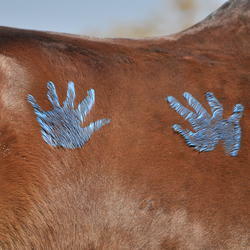 Activities with the horses increase self awareness, integrity, respect and trust. It facilitates the learning of when to stand one's ground, explore respect, develop and maintain boundaries and offers opportunities to practice self-care skills and to ask for help when necessary. 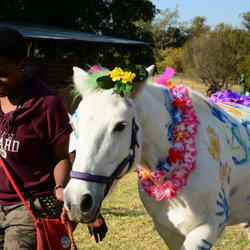 Equine Assisted Psychotherapy is a unique non-traditional form of therapy where the horse is an integral medium of the therapy. 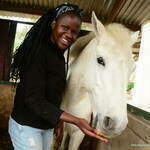 Healing through interaction with horses is experiential and very much rooted in the present moment. 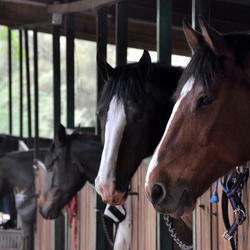 Children and adolescents with emotional and behavioural challenges respond extremely well to the unconditional and non-judgemental mirror that the horses provide. We also offer sessions to adults, families and couples. Rates are dependent on the number and type of sessions you enroll for and are available upon request.